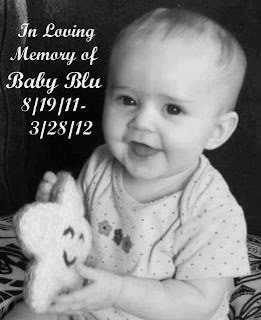 On March 28, a fellow fan page owner woke up and her 7 month old had unexpectedly passed away in her sleep. Like most of us in today's economy, the family already lived paycheck to paycheck. To help, myself and other page owners have created a fundraiser. 100% of the winning bids will go to this heartbroken family. Baby Blu leaves behind a sister, a father, and a mother. If you would like to make a donation, you can send it to jessi@mlpdecals.com with "Baby Blu" in the comments. Auction opens at 7pm EST on 4/2. Facebook time stamps are used to determine the winner. If you bid at 7:01pm EST, it will not count. You must leave your paypal email address at least once under EACH photo you are bidding on. Please LIKE the page selling the item(s) you are bidding on, if a page is lited. You will be invoiced by Seller within 24 hours of auction ending. Seller will then gift the money (minus shipping if stated) to the family. Commenting or bidding in the auction constitutes your agreement to these Rules. You must pay within 48 hours unless other arrangements have been made with the individual seller(s). This is for a great cause - so please share this with your friends! Click here to see all the great items you can bid on. Thank you from all of us, and especially from the family!